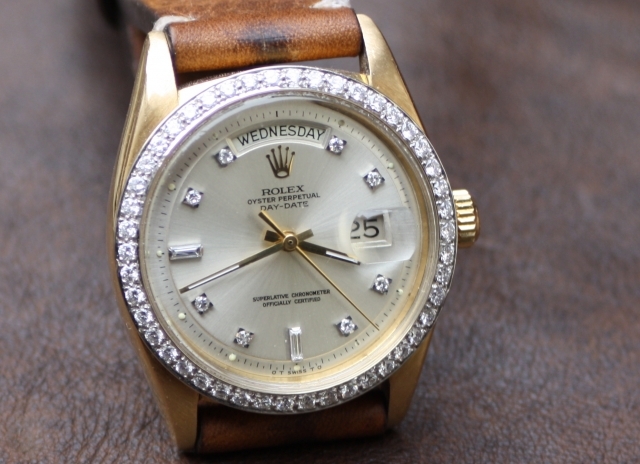 Very rare rolex day-date ref. 1804 also known as the diamond reference. 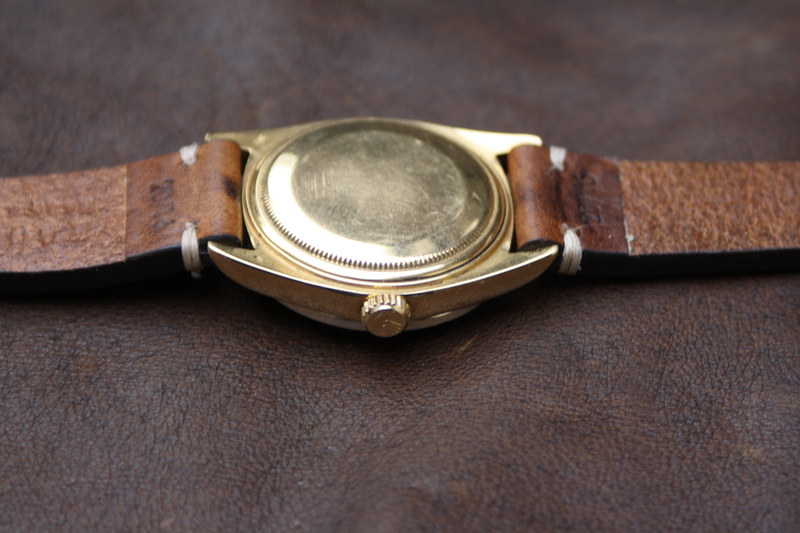 The 1804 has been produced in Platinum, White gold and Yellow gold. In the 1970’s the daydate 1804 was considered as one of the most expensive Rolex model. 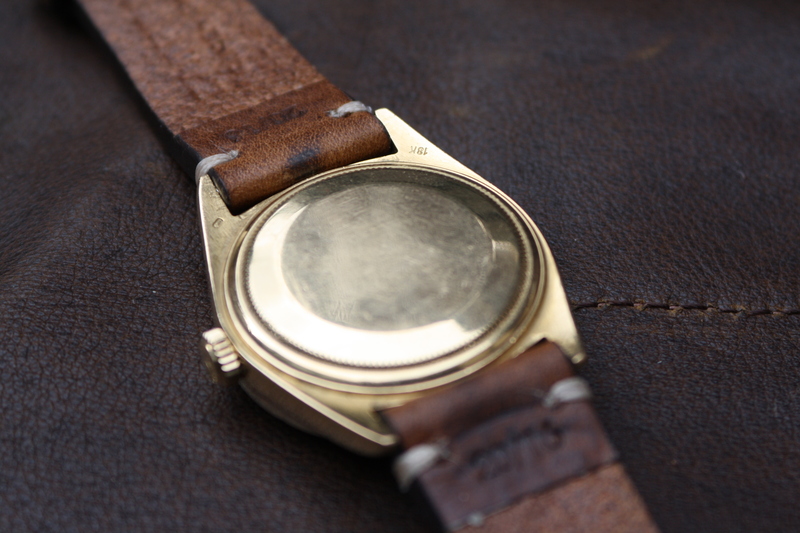 This example has a beautiful factory set dial, it’s a so called sigma dial in pristine condition. 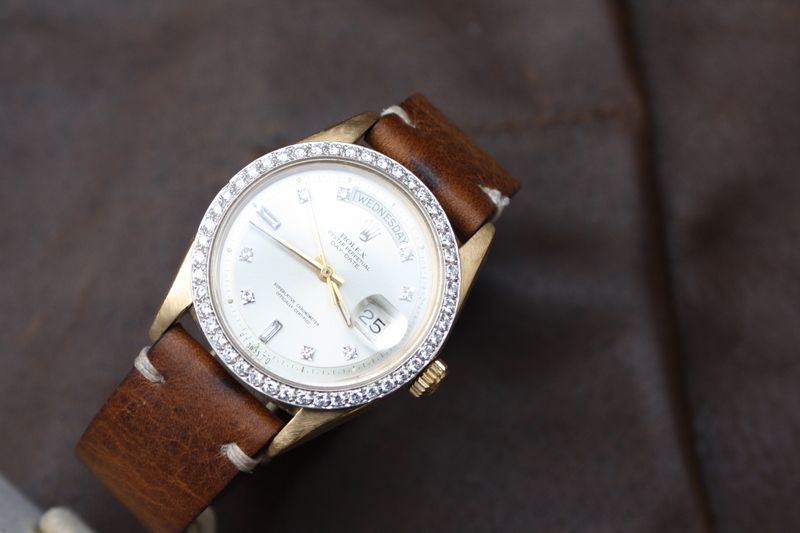 The original diamond bezel has bezel has been changed by the previous owner for a fluted one. 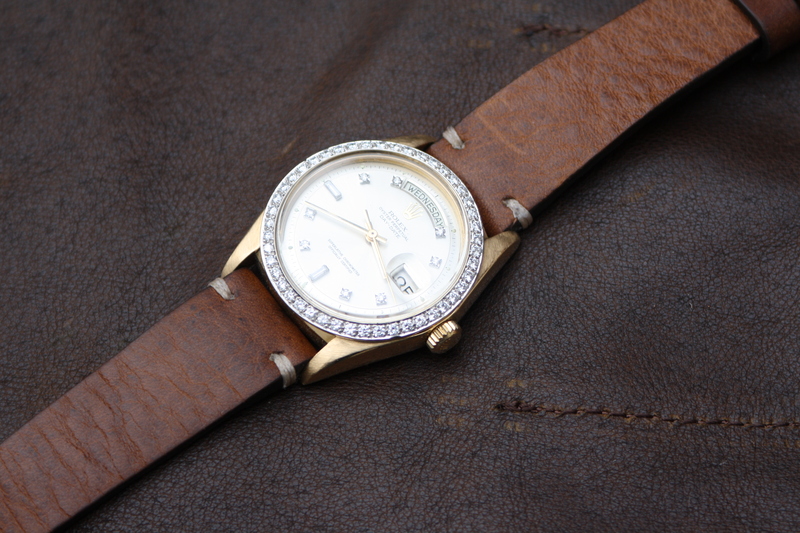 We supplied the watch with a white gold diamond set bezel. 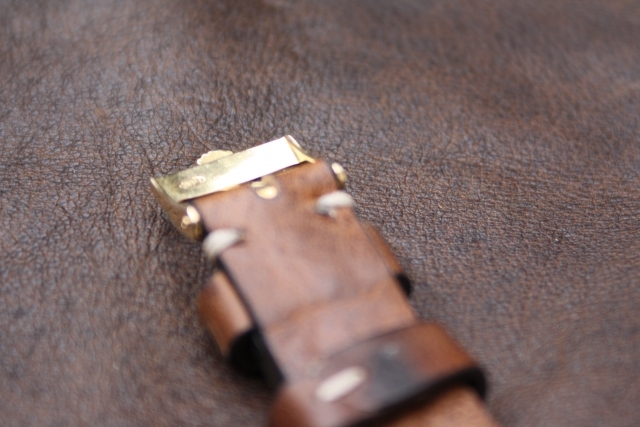 Besides the fact the 1804 reference is very rare and sought after its a pleasure to wear it on the wrist. The watch has been carefully checked by our watchmaker and comes with 1 year guarantee. 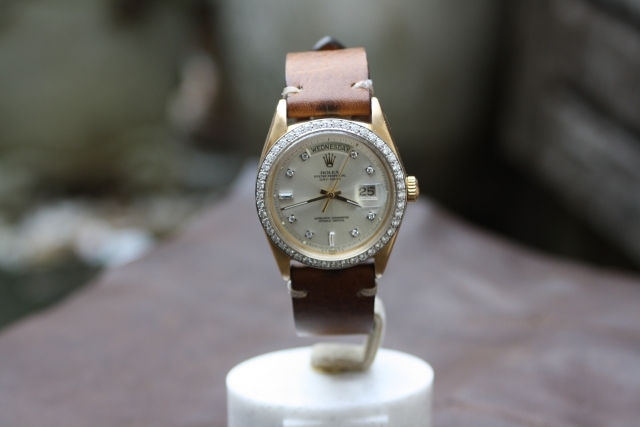 Vintage Times sells high-end vintage timepieces. 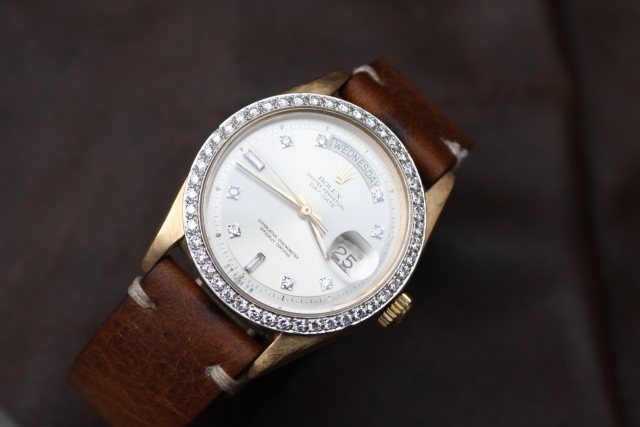 This Rolex 1804 has been carefully checked by our watchmakers and comes with 1 year guarantee. 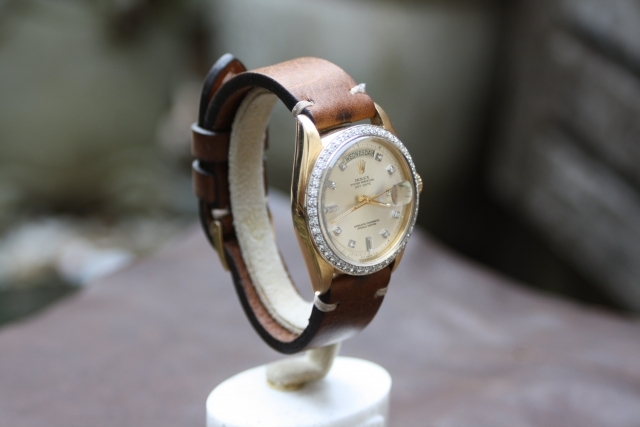 Find out more about our passions for vintage watches here. 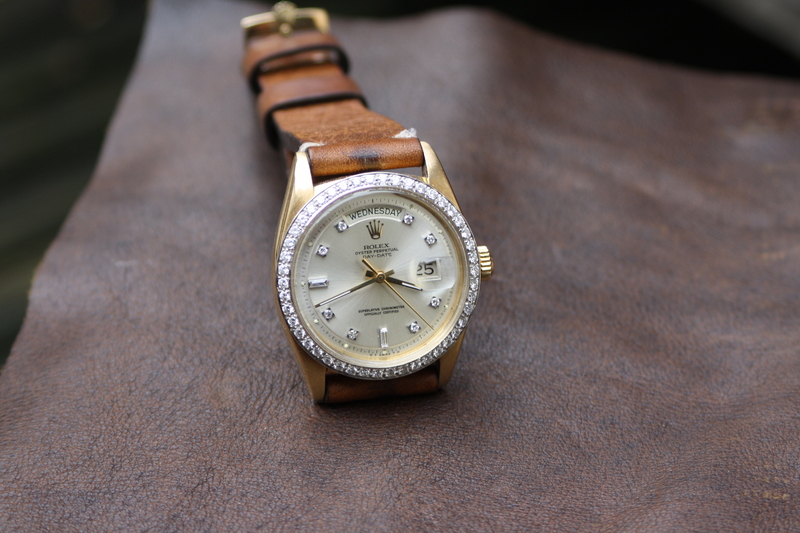 Looking for another Rolex vintage watch ? 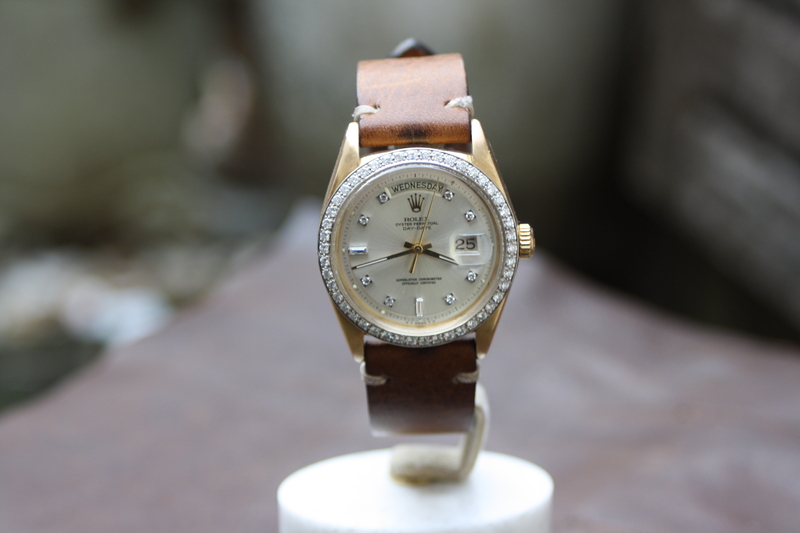 Vintage Times is offering a limited selection of vintage Rolex timepieces. 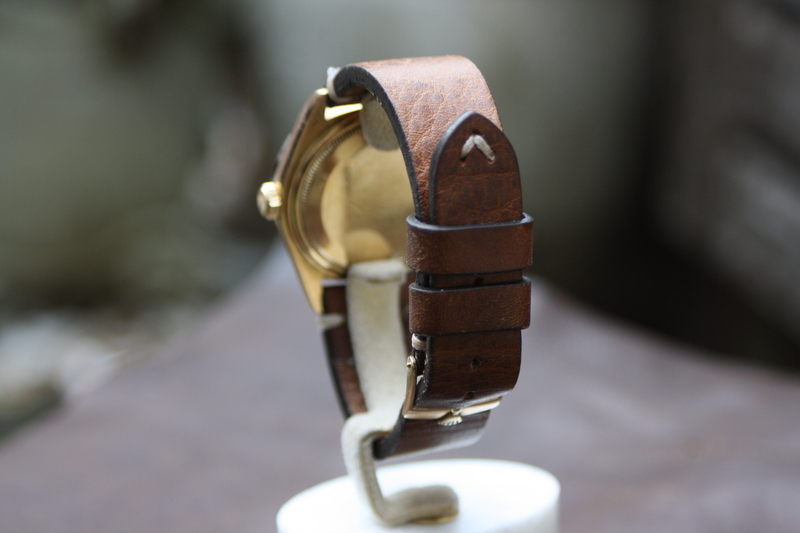 Please let us know if we can help to find the perfect watch for you. As we are constantly looking for vintage timepieces for our shop please don’t hesitate to offer us your vintage timepieces. 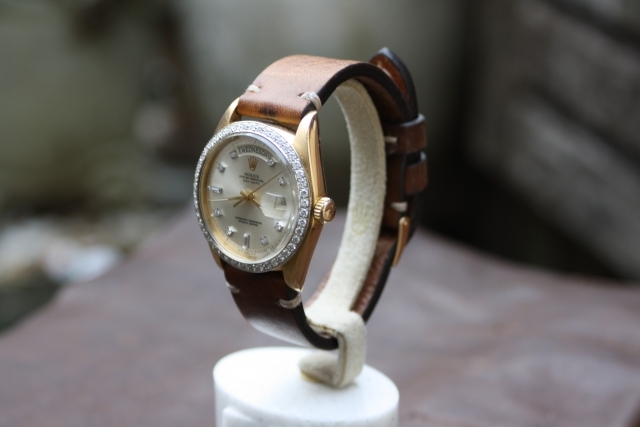 We are looking to buy all kind of vintage and modern watches by brands as Patek Philippe, Rolex, Heuer and more. Gold Rolex watches have always been popular by collectors. Wearing a gold Rolex gives a magical feeling on the wrist. 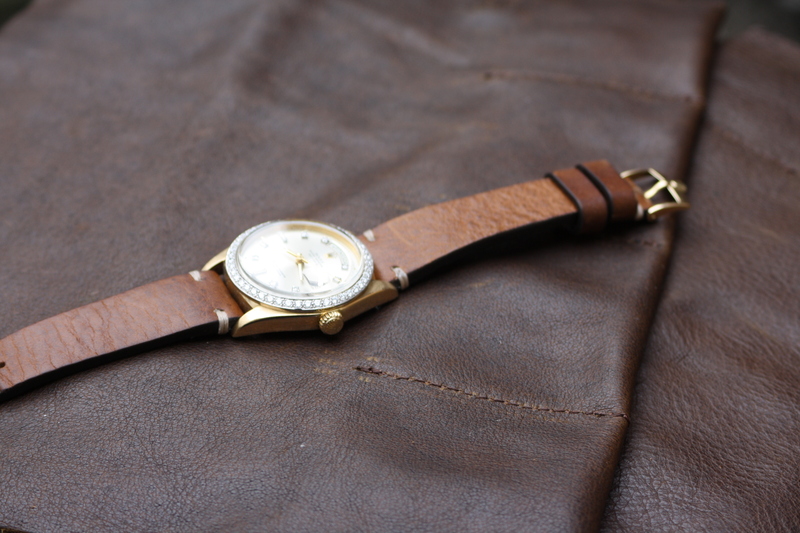 Especially vintage daydate watches are interesting for collectors. 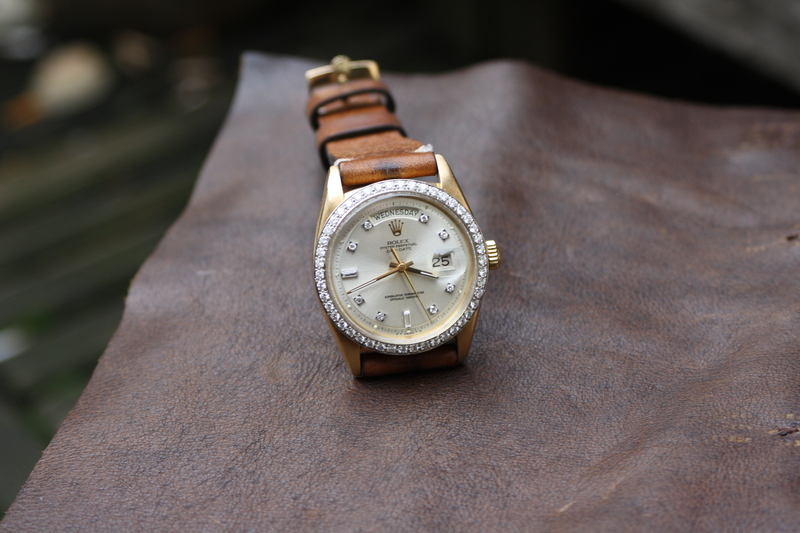 There are many different variations of daydate watches, besides a few prototypes in steel all President daydate watches are made in precious metal in different colors. Yellow gold and white gold are the most used alloys for Rolex daydate watches, frankly enough most rolex 1804 reference’s are made in platinum or white gold. 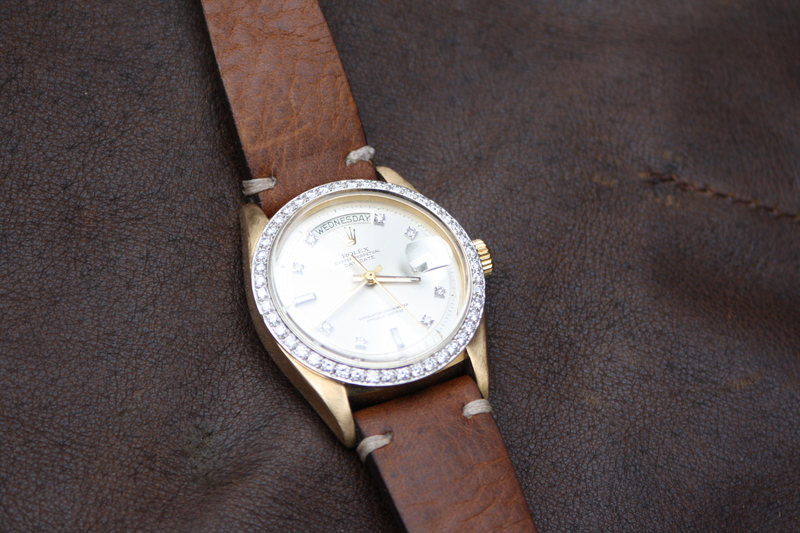 A yellow gold Rolex 1804 is pretty rare.